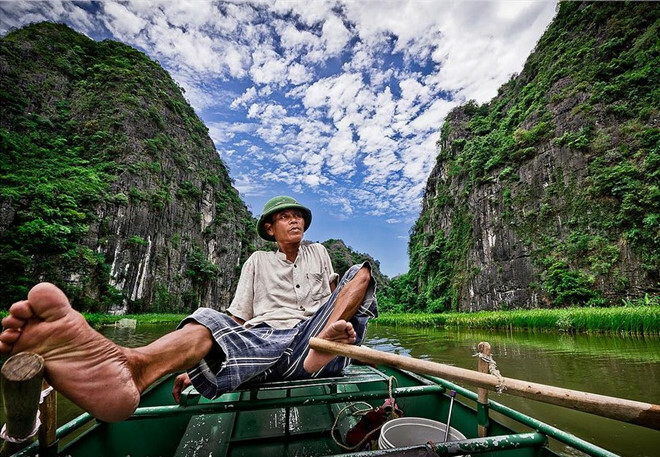 Ninh Binh – a unspoiled beauty with mountain, river, It was quite a romantic with of the fields stretch away to the horizon and lotus flowers near the cliffs , It look as beautiful as a picture, However in most of some people’s minds, Ninh Binh has never been an attractive tourist destination because of the boredom of this place. 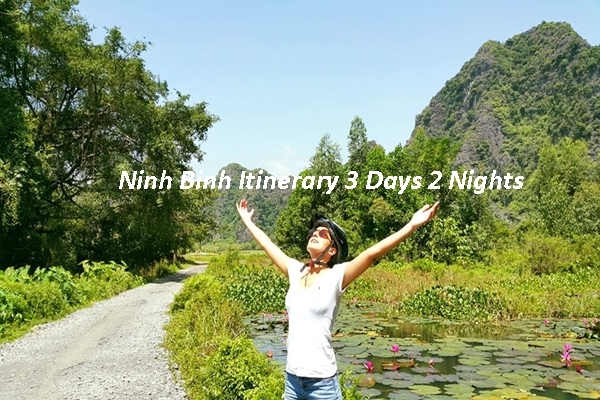 But after you read this article, I think, a lot of people will have to look back the hidden charm of this ancient capital, and have a reasonable your answer what to do in ninh binh at night? 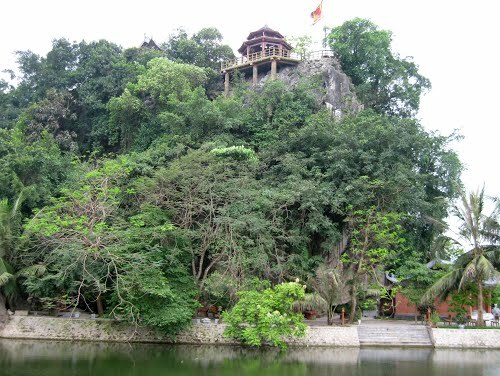 Bai Dinh Pagoda where is located in the complex of Trang An Grottoes ( Ninh Binh) has become a popular spiritual destination of the Red River Delta and all of vietnamese. 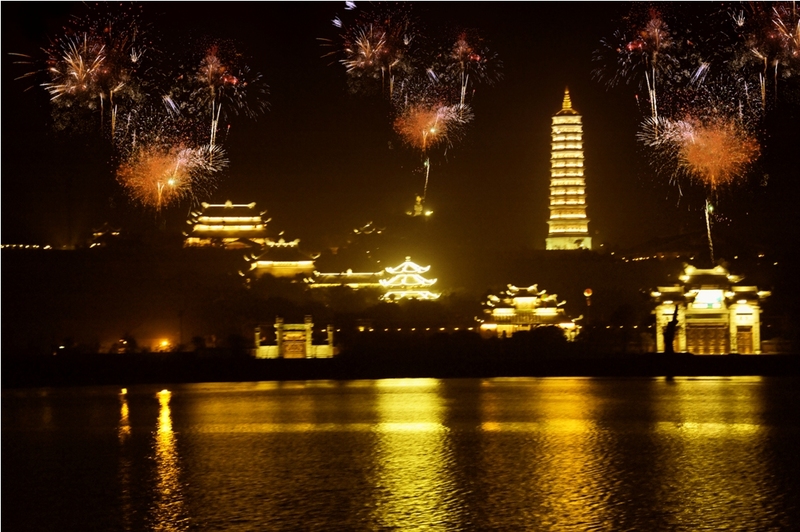 However, not many of people in Vietnam have a chance to admire the magical beauty of this pagoda at night. 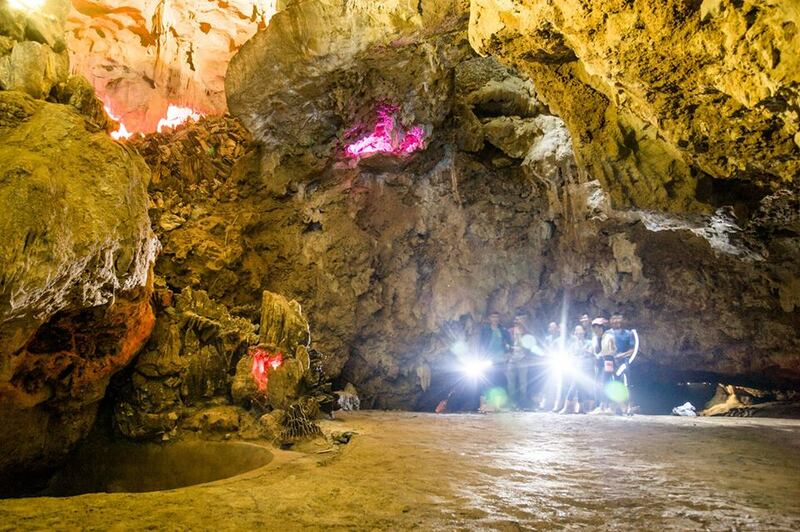 For the purpose of getting more new experiences for travelers, Bai Dinh tour at night was officially developed from the end of 2016. 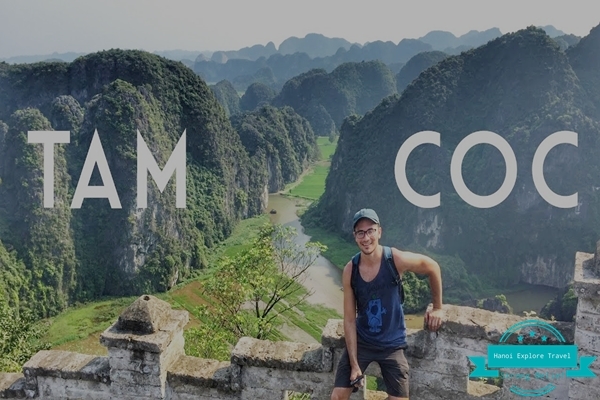 When the sun goes down, the space of Ninh Binh has brightly-lit giant lamp decorations, with their constantly interchanging colors. 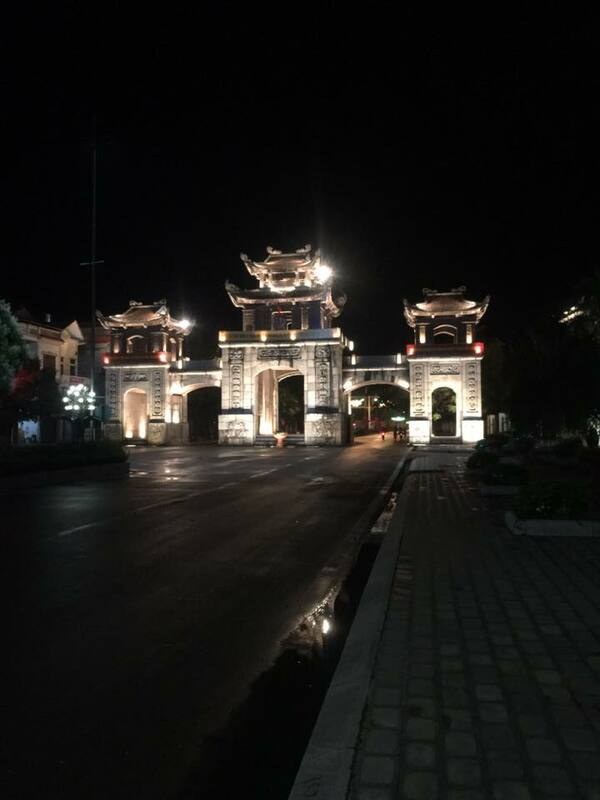 In contradistinction to the daytime, the night life at Bai Dinh is more quiet and peaceful. The electric cars depart from hotel lobby to pick up us for exploring Bai Dinh Pagoda at night. The air is very fresh, and sometimes you will feel smell of flowers. The temple bell could be heard all over the temple,many visitors say they feel their cares and worries leave them and feel relieved. 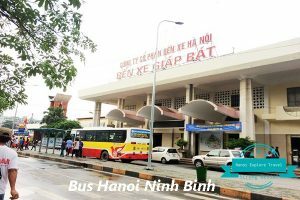 Visitors will visit Bai Dinh Pagoda by tram; admire panoramic view of beautiful pagoda at night from the 13th floor of the tower; listen to the sermon of the Buddha, explore Thien Ha Cave. 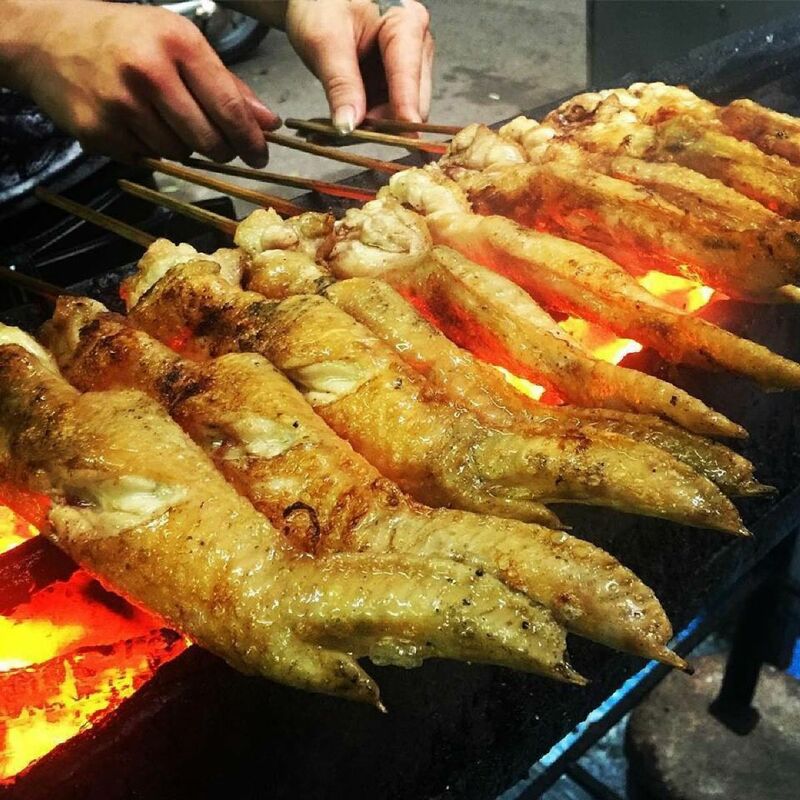 Cuisine: Hoang Giang Restaurant, Thang Long Restaurant, Thanh Cao restaurant. 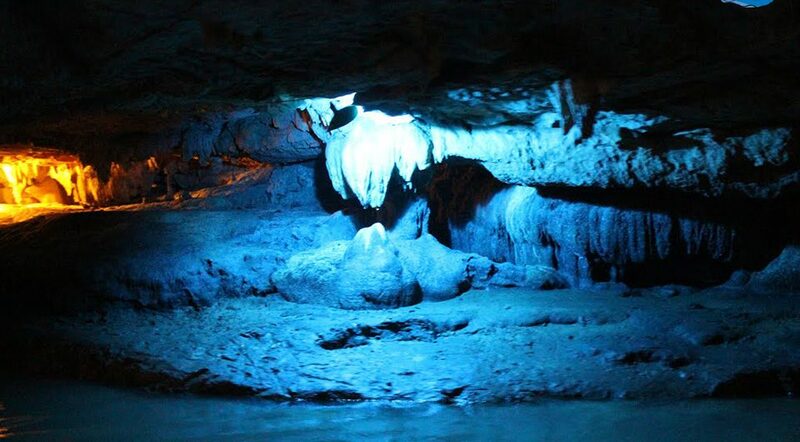 Not only that, When you come to Ninh Binh, you also do not forget to discover Thien Ha cave at night! 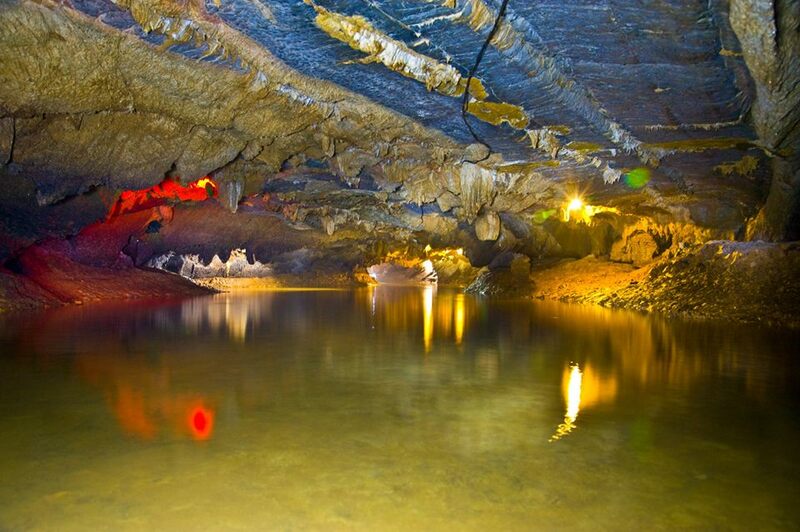 It is part of a strong wall of nature that protects ancient capital Hoa Lu of the 10th century, Thien Ha cave is considered as the “Milky Way in the Heart of the Mountain” associated with historical and cultural sites: Boat landing of the Le, Phat Dau Son mountain, Dau Linh Field . Just breathe that fresh air, cool and peaceful. There is music in the movements of the winds, as well as the trees. That is the reason why a lot of traveler want to make use of their time to explore over view in there. 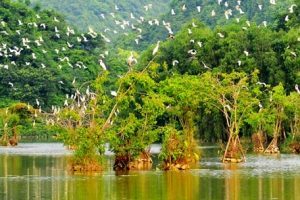 When you come to Cuc Phuong, you should not miss experience camping here! 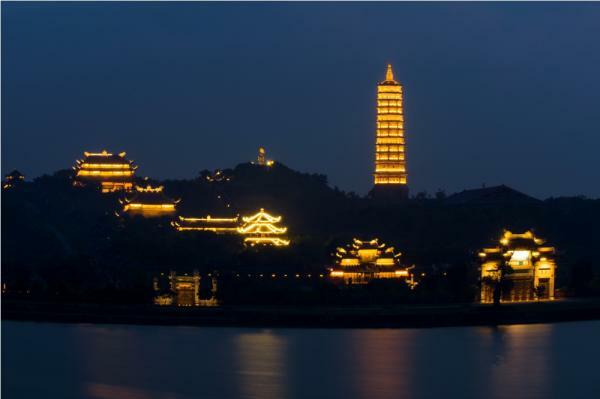 I am sure that it is a very enjoyable experience whenever you remember about the ancient capital. Not only that, but even more interesting is the activity of observation and study of wildlife at night. 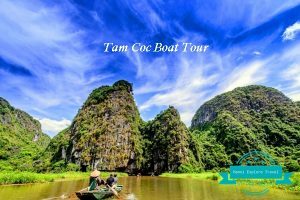 If you do not have much experience in the forest, you can join the tour of Center for Environment Education and Service of Cuc Phuong National Park. The best time is dry season from September to December, when the rainy season passes there are not much squeeze and mosquitoes in the forest. In addition, you should also bring the necessary items such as: boots, flashlights, sleeping bags, cameras, binoculars, cameras, insect repellent. 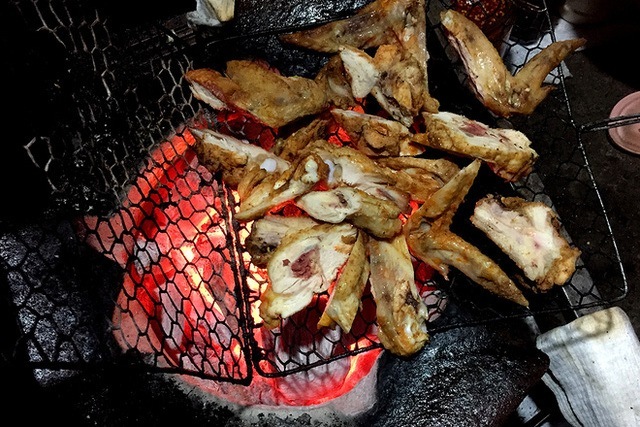 Cuisine: you should bring food and drink to prepare for camping in the forest at night. 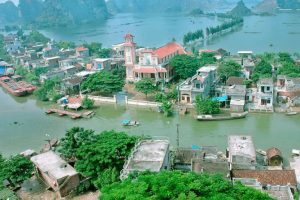 Known as a beautiful heaven in Ninh Binh city – Cu Chinh Lan streets (Ward 8)is located In the center of the town. This street is famous for many interesting things. 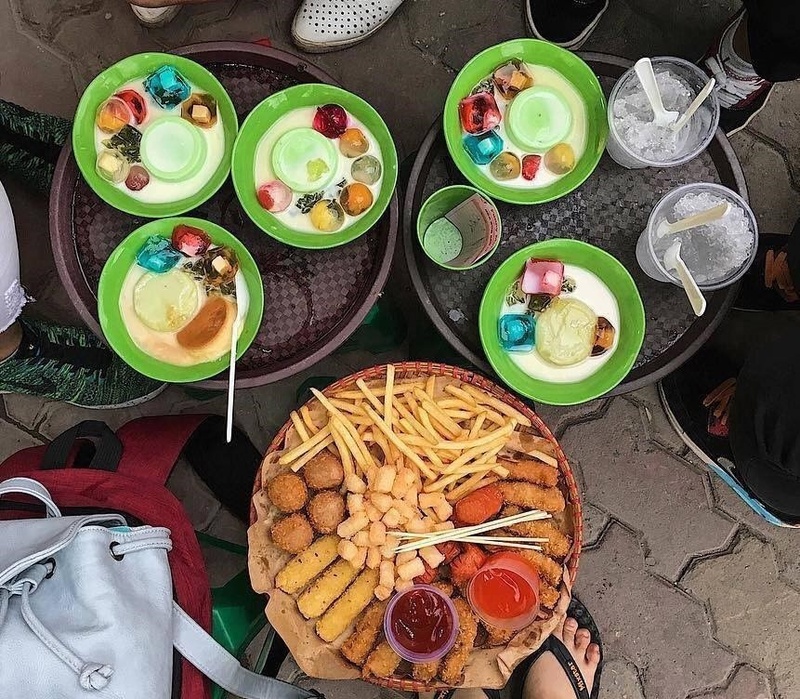 After a long day you explored famous destinations of the ancient capital, in the night dispel fatigue and worries of daily life by enjoying special food. 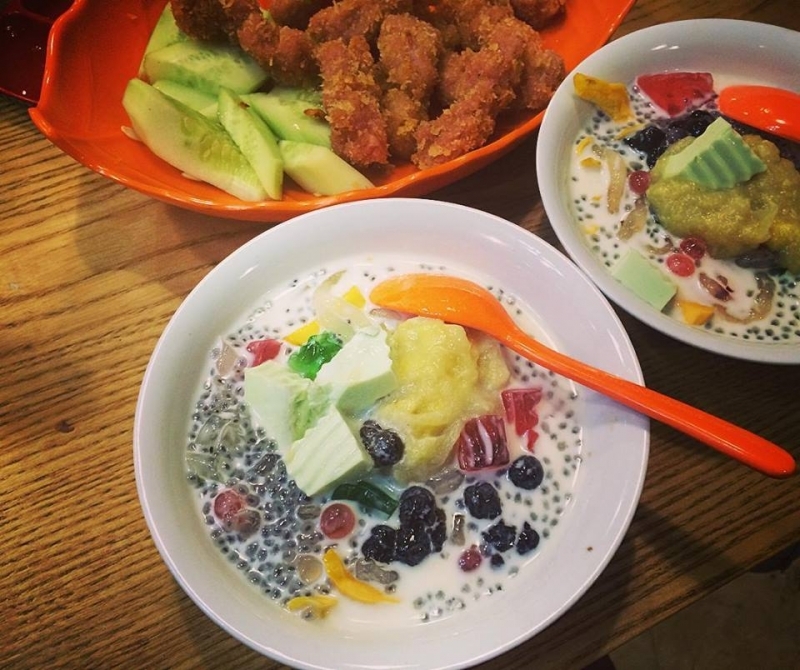 Let’s Come to Ward 8, you loaded his stomach with super delicious,attractive dishes, and prices are “love” extremely. There are so many restaurants and stores or karaoke bars catering to the needs of visitors. Walking along this street, visitors are fascinated by the rich taste of countless attractive dishes such as hot sticky rice, burnt- rice, baked chicken legs, snail, soft fat goat meat, hot pot … activities being purchase and sale of goods increase the attraction of local tourism, attracting more tourists into Vietnam to make the noisy atmosphere of this street. 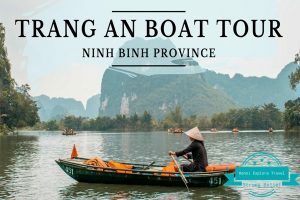 So it can be said that the presence of this street make a difference to Ninh Binh, Ninh Binh relieve the boredom and tedious than before. 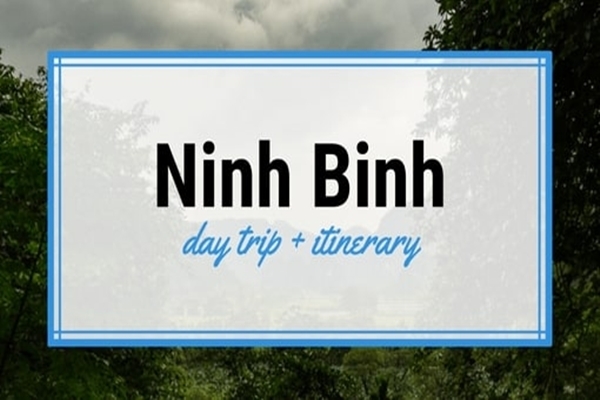 It would be a huge shortcoming for you to not know about the existence of this street in Ninh Binh. 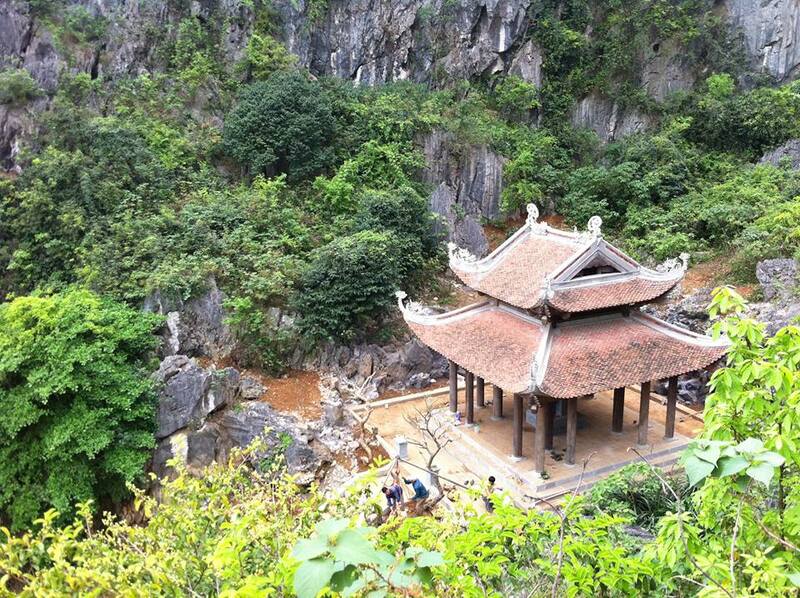 Ky Lan mountain – located on the Trang An river in the center of Ninh Binh City, next to Highway 1A to the west. The name Ky Lan probably originated from the shape of the mountain with the head of the unicorn toward the north. 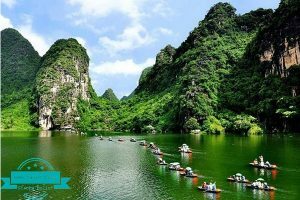 A mountain is more than 50 metres, along the north side of the mountain have sunk into a jaw of unicorn Surrounding are the cliffs of undulating hills, green trees like the mane and the beard of the unicorn. 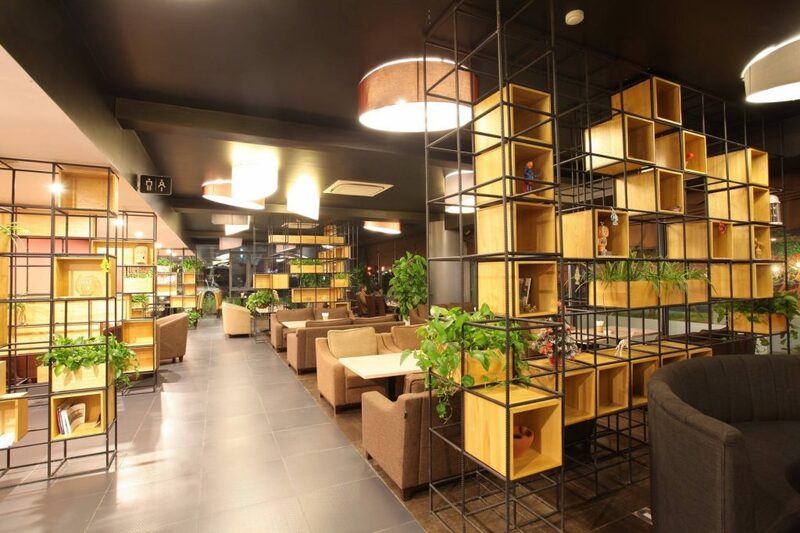 Located in the 1st floor of the Bong Lau Event Center – The Reed Ninh Binh Hotel, Dinh Dien Street, Dong Thanh Ward, Ninh Binh City, Aria Café is the most unique café in Ninh Binh. It gives you a completely new and relaxing space and unique moments. This places is compare with a real heaven on earth. 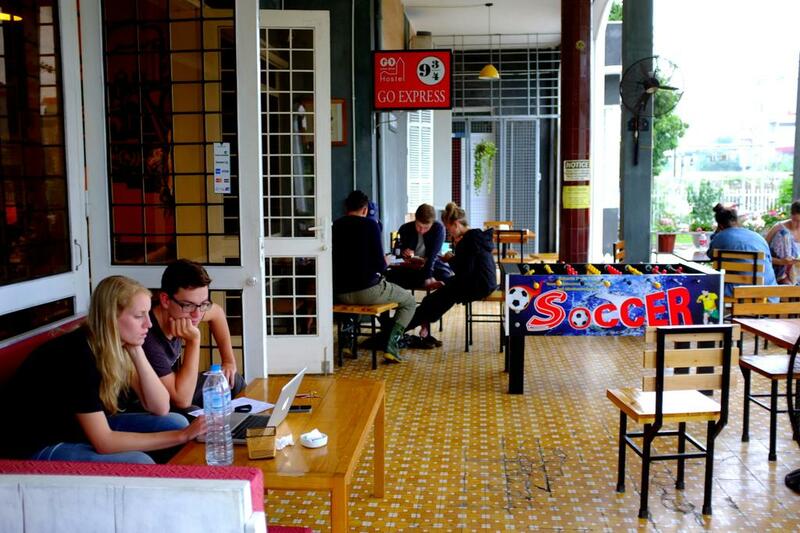 It is a paradise of dating after spending many days of misses and separation., or even they simply drop into the coffee shop on the way and sip a cup of strong coffee, Arica Café has become a super hot stopping point for young people in recent days in Ninh Binh city. 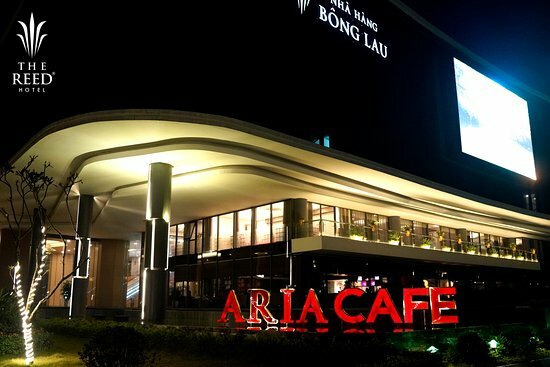 When you come to Aria Café, you can choose a small corner to stared at the tranquil of this city every night. 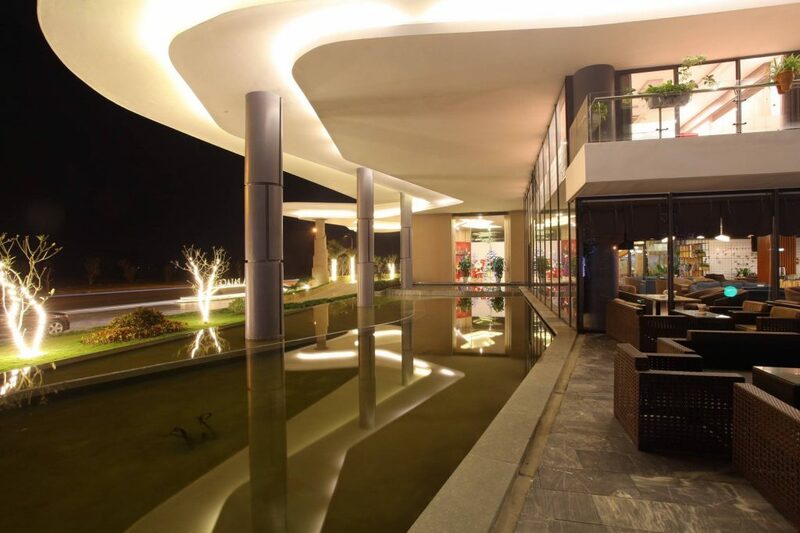 This place also is ideal destination for you to produce a new collection, with gorgeous shot at Arica Café that not everyone knows. 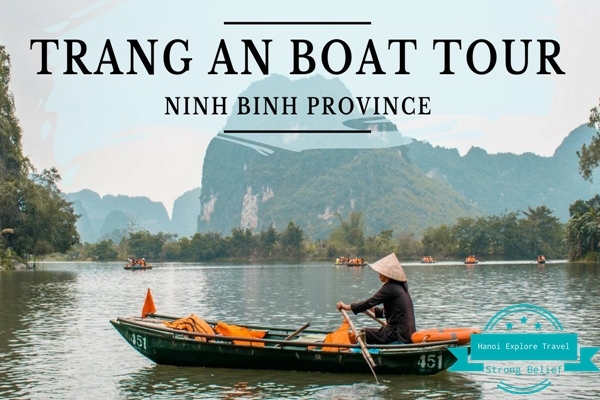 If you want to discover all the activities as well as the peaceful life of the capital city, you should not forget to visit the Sports arenas of Ninh Binh province. 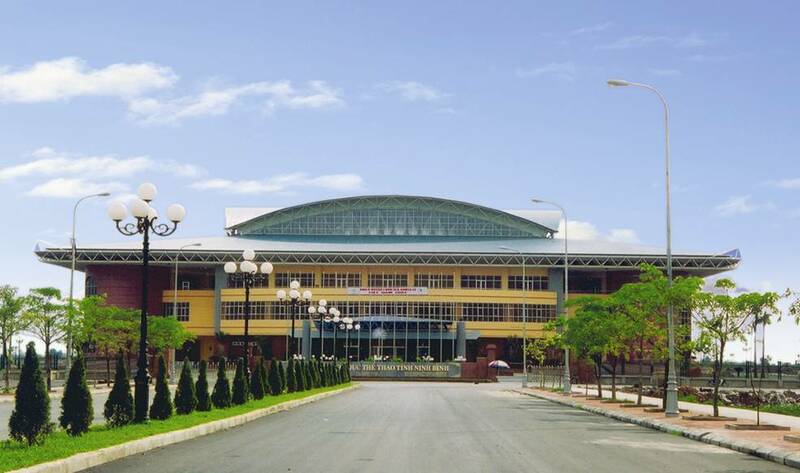 Located on Dinh Tien Hoang Street, Dong Thanh Ward, Ninh Binh City, sport Arenas of Ninh Binh where is one of the most modern arenas in Vietnam, take place many nationwide volleyball competitions. 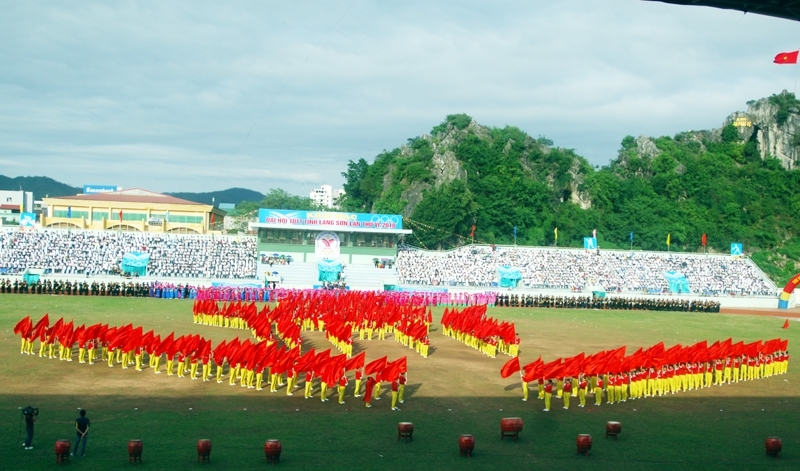 Sports Arenas is a popular destination for many people, especially young people every evening. Coming to this area, you will not only enjoy the beautiful scenery of Ninh Binh at night but also enjoy many delicious food, strange taste and eye-catching. Chookie’s is a restaurant, coffee shop. 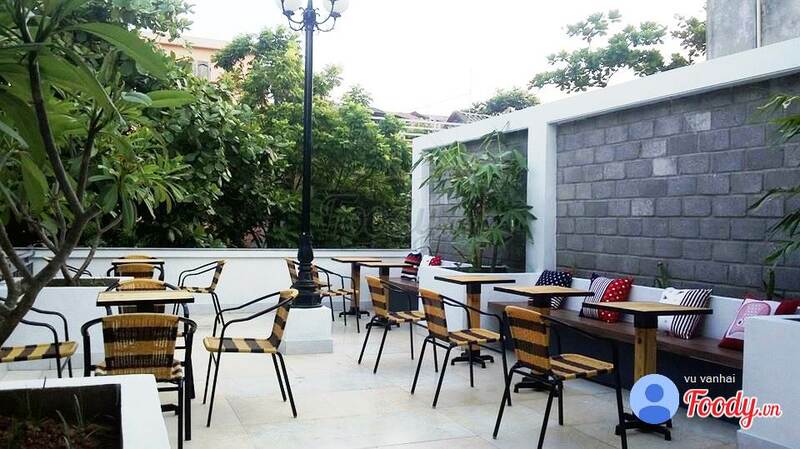 It is located at 17 Luong Van Tui – the city center. The first impression of visitors for visiting this restaurant is probably the bright red color, eye-catching as the space here as warmth. Come to Chookie’syou will enjoy burgers, sandwiches, fresh juices famous only in this restaurant. 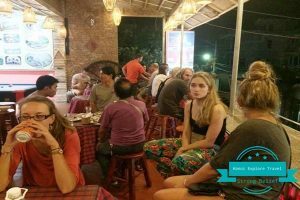 Chookie’s is also popular with many tourists because it not only serves tourists in the country but also foreign guests. 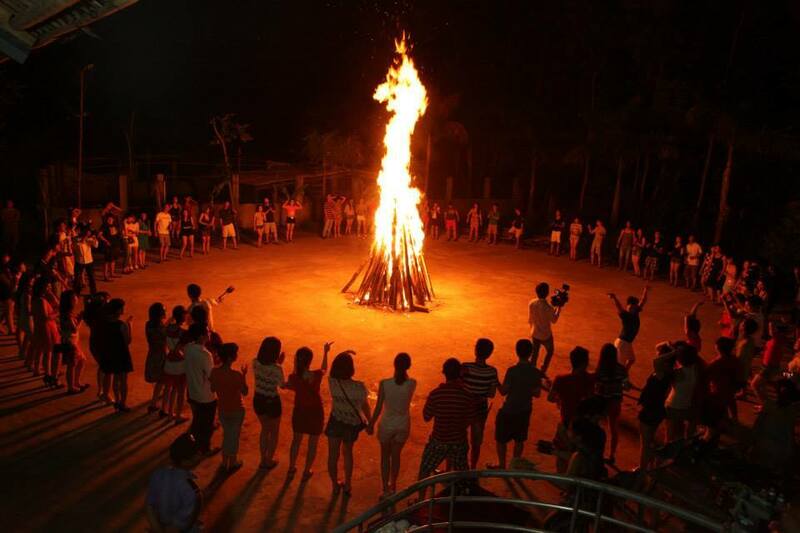 With professional staffs have skills speaking English like native person, they is very warm and hospitable. In addition, Chookie’s offers many other convenient travel services such as motorbike rentals, tours, train tickets. 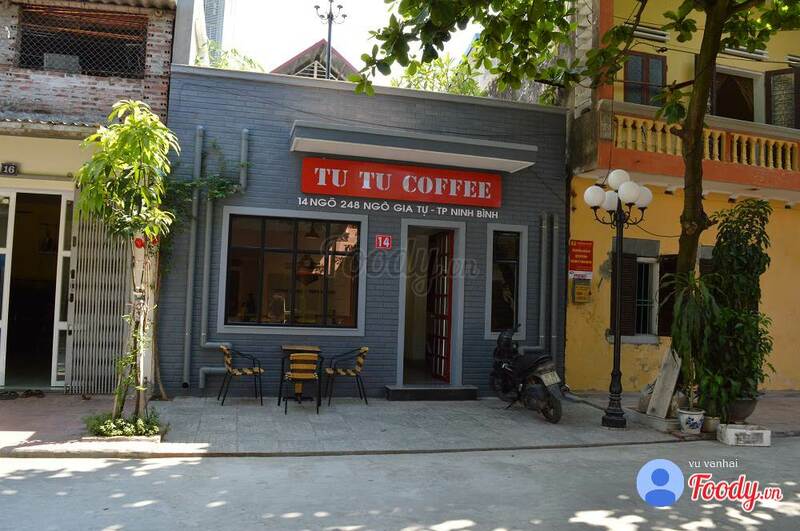 Coffe shop’s source of materials are bought in Hanoi, unique decoration of the owner will surely give you a sense of extreme relaxation and a unforgettable memory. The designer must have mixed vintage style with some European to produce such a beautiful space. Specially, the owner has a large collection of ornaments and decorations from many places. It brings a different feeling and liked this place right from the first sight. 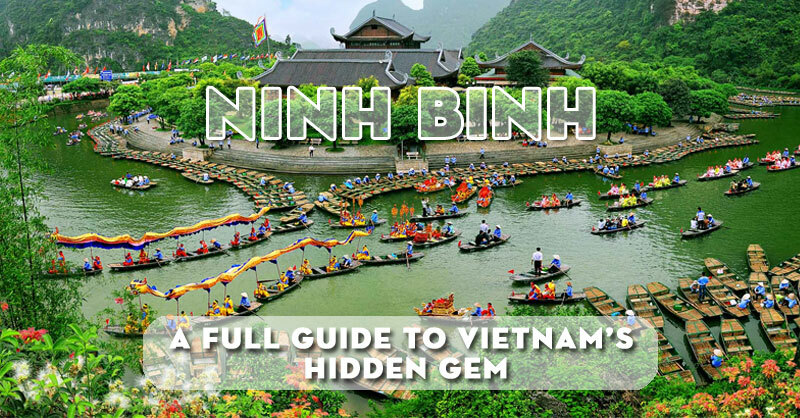 You’ve seen all 8 bes things to do in Ninh Binh at night and around. Let’s grab your belongings and start your journey.